Volume 52: Know Show clothing, product, and lifestyle trade show at Vancouver Convention Centre West on January 18, 2012. Hashtag: #knwshw. Photo courtesy of Jordan Kallman. More photos available on Flickr. Once again, it was time to hop down to the convention centre for the city’s biannual lifestyle trade show. I hit up the Know Show again to check out all the spring fashion aimed at skate, surf, indie, and youth wear culture. Top brands and exhibitors sold themselves to retailers with the best they had to offer in hip new gear and culture fashion. My favourite spot was the trailer truck turned photo showcase with some stellar pics. 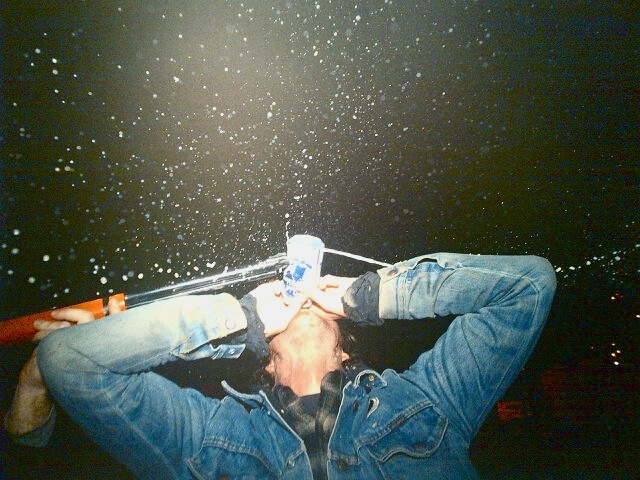 The hit was mister denim literally shotgunning a Pabst Blue Ribbon beer. Pretty cool. Today is the last day in the show so check it out if you’re into hoodies, skinny jeans, and skater shows or hit up the next one. Oh, and here’s to 52 straight weeks of Vancouver Daze. Next articleDine Out Vancouver Starts Today!